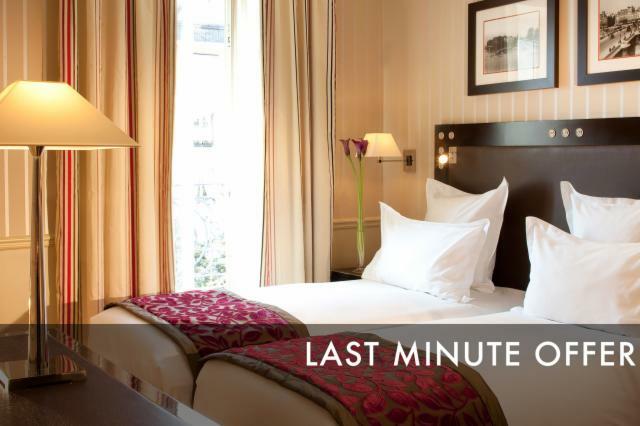 Book at the very last moment and get a discount ! 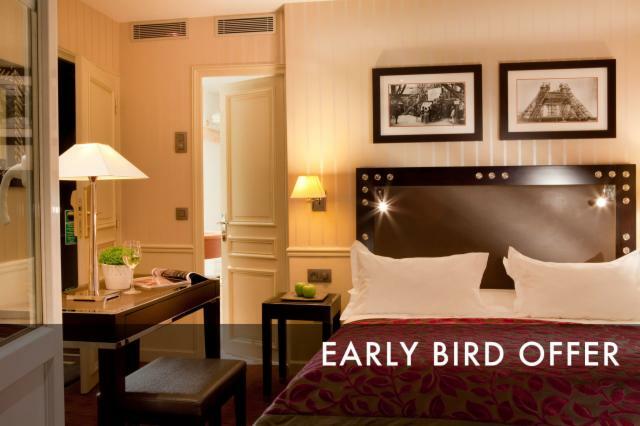 Book 3 nights & Save ! History is good to find out who we are …. From an early age, he follows in the footsteps of his father who served in the Royal Navy. This young prodigy joined the Navy for his first campaign on the "Petit Saint André" as lieutenant to 17 years. He became captain and took command of the "Neptune" to 25 years. He will sail the seas until his last campaign in 1684, at the age of 80 years. Captain of King Louis XIII and Richelieu of vessels, Flanders under Mazarin Wing Head (1647) and Lieutenant General of the naval forces under Louis XIV (1667), and Vice Admiral of Sweden against the Danes. Its main act of war will remain the Dutch War in 1676. Duquesne won a brilliant victory against the Dutch Hispano controlled by Ruyter, the greatest Dutch admiral of all time. Ruyter will leave life in battle. King Louis XIV to thank him for his loyalty did the "Marquis of Quesne, Baron Indret Monros Lord." Duquesne was not only a warrior with many collisions to his credit. He is a man of courage, who also was wounded in the jaw by a musket shot. It is above all an excellent navigator and the best specialist in the French shipbuilding. He laid out the French ports, the arsenal of Brest, and was the founder and organizer of the modern French Navy. The British considered him the greatest seafarer of the time. He was the only sailor to have handled the transition between Louis XIII, Richelieu, Mazarin and Louis XIV. "If I had to betray my God, I maybe would come thereafter to betray my King." Duquesne was finally removed frameworks for Protestantism, but was not pursued and became the only protestant subject of the kingdom to keep its securities. In 1792 Louis XVI baptize the "Duquesne", a vessel of seventy-four guns. Subsequently, 13 warships will carry the name of this famous sailor. Duquesne remains famous in naval history for his courage and audacity in battle "At the collision and no quarter." He rose only by the forces of merit and his shots bursts, never deny his faith and convictions. From a strong character and a rebellious temperament, Colbert found his motto "It's only from me that I will take the law". Alexandre Gustave Eiffel, born 15 December 1832 in Dijon (Côte-d'Or), is an engineer and a French industrialist who notably participated in the construction of the Statue of Liberty in New York and the Eiffel Tower in Paris. Gustave Eiffel was born into a wealthy family. In 1843, Eiffel between the Collège Sainte-Barbe before being admitted in 1852 at the Central School of Arts and Manufactures in Paris, in addition to his eligibility at the École Polytechnique. He performed in the institution brilliant studies and gets a degree in chemical engineering in 1855. His first major achievement is the railway bridge in Bordeaux in 1858 in collaboration with Paul Régnauld, construction for which it assumes, at twenty-six, management. The success of the company, which will connect the Midi Railway Company at the Compagnie du chemin de fer de Paris à Orléans, ensures a first fame. In 1863 his collaboration with Paul Regnault for him to make St. Paul Gateway and the Sainte-Cécile Observatory in Arcachon. A few years later, Eiffel, which already has solid experience, decided to found his own company. In 1866, he purchased metal workshops constructions, near Paris, in Levallois-Perret, while in the former department of Seine. The company then takes several large orders for building viaducts and buildings or steel framing structure. To do this, he does not hesitate to go all over Europe. But he is best known for the Eiffel Tower, built in 1887-1889 for the Universal Exhibition of 1889 in Paris, a city which has become the symbol. 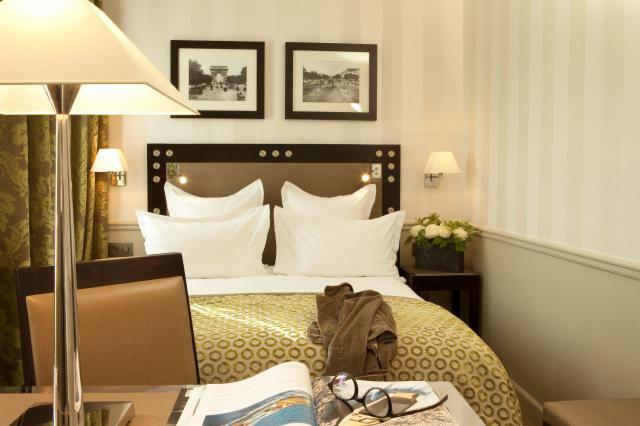 The Duquesne Eiffel hotel was built in 1797, in an area under reconstruction, completely destroyed by the explosion of the Grenelle powder magazine in 1794. The explosion of the powder magazine was so powerful that the houses in the neighborhood have been shaken, and bridges cracked. The balance sheet was at least 1,000 victims and the blast was heard as far as Fontainebleau (50km from Paris). In the Grenelle workshop piled two thousand workers who manufactured the powder in an overheated atmosphere without any protective measures have previously been taken. The building was originally a modest pension that welcomed the young cadets of Military School, built in 1756. It was not until the early 20th century that it became a tourist hotel. Rehabilitated successively in 1998 and 2009, however, you can find there traces of the past by observing the exposed beams and stone walls of the lounge, and the magnificent vaulted cellars, little changed since the construction of the building.